Summer is not only perfect time to have a rest, but it is also a great opportunity to generate new knowledge. 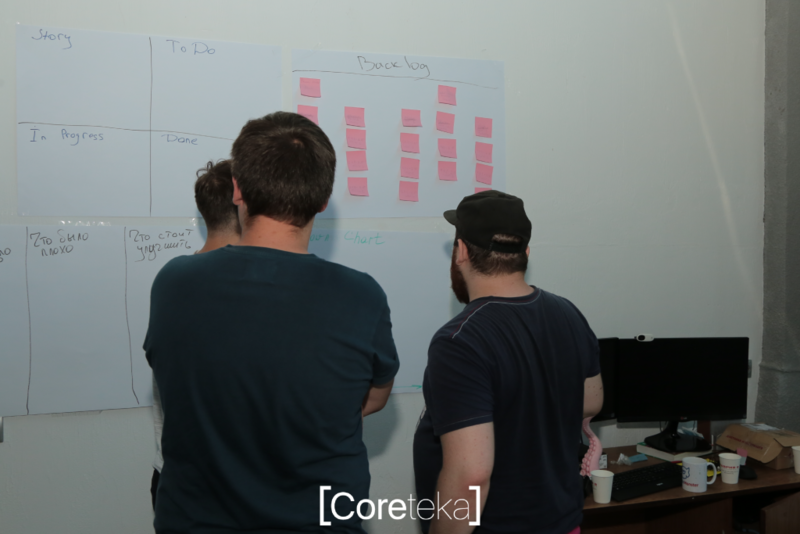 We are committed to the idea of promoting professional development of CoreTeka team and organized Lego Scrum Game. 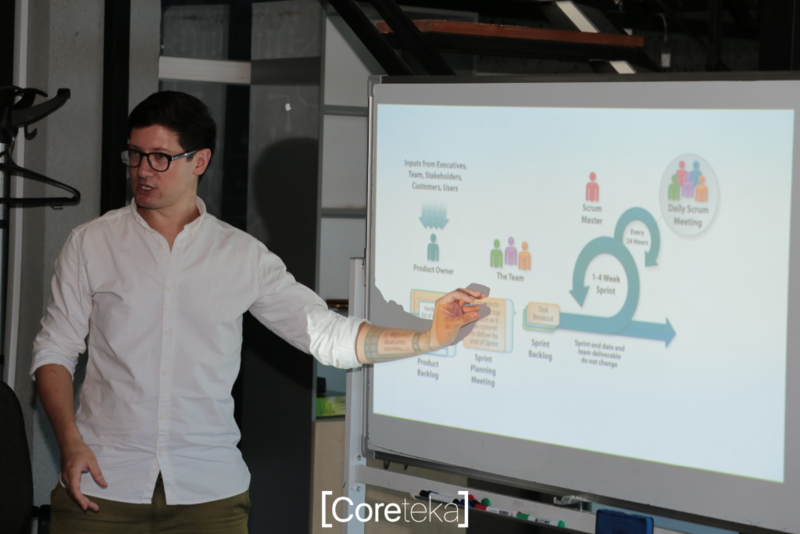 The world requires more flexibility – that is the motto of the educational event, held by Nikita Hudyakov, experienced Web Designer, Project Manager, Scrum Master, founder of Mykolaiv IT Cluster, СЕО OCHI (virtual reality). The event focused on agile development model and, in particular, on Scrum methodology in the context of LEGO. 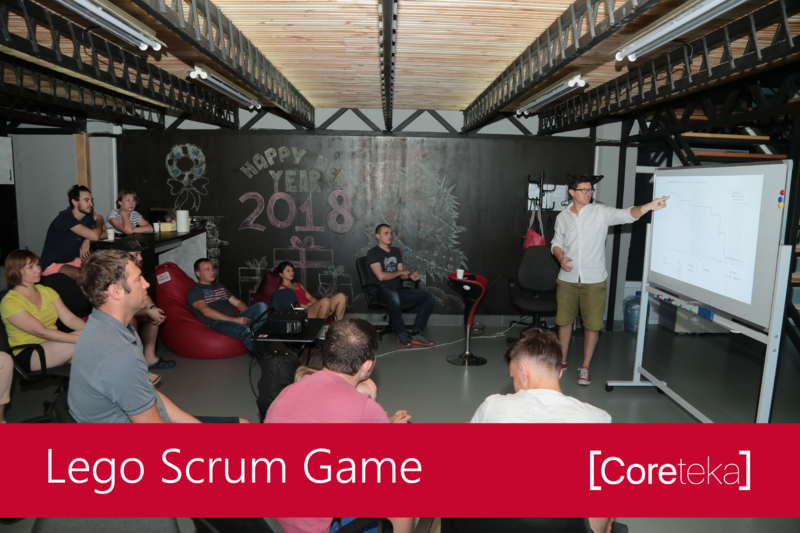 The main purpose of the event was to build understanding of fundamentals of Scrum methodology, scope of its application and to obtain practical experience of its implementation. The event consisted of 2 parts: theoretical and practical. The first one covered such practical questions as Scrum history, AGILE Manifesto, structure of Scrum process and its proper application. 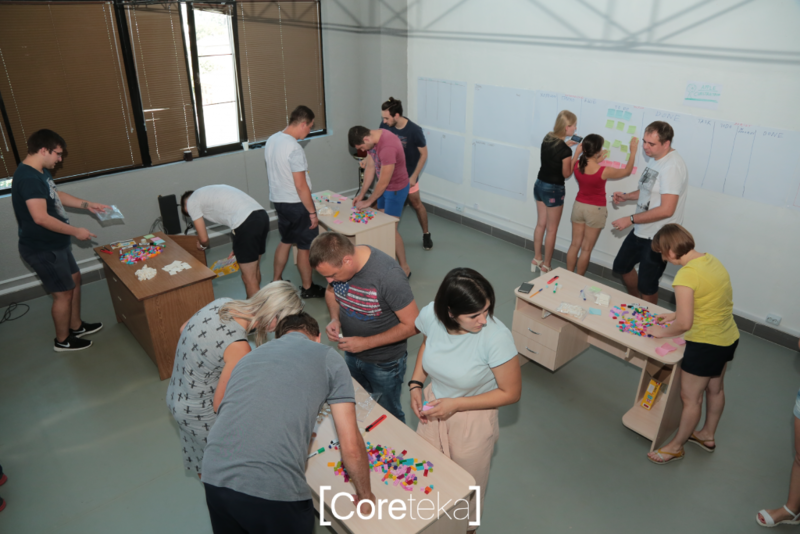 The practical part aimed at developing particular skills of Scrum application on the basis of the example of Lego City. The attendees divided into 4 teams of 4 persons including one Scrum master. The game was of a competitive nature and had a strict timing.